Artbox Malaysia launched at Sunway City with over 500 vendors and partners opening up their stores over two weeks of the event. Artbox was brought over to Malaysia due to the partnership of Invade Industry from Singapore and Adnology Labs from Malaysia. Over the weekend, Malaysians had the time of their lives shopping online as 11-11 deals were everywhere. However, in the real world, there was another shopping frenzy happening at Sunway City as Artbox Malaysia officially launched on Friday. Thousands of people showed up, and reactions have mixed. Artbox originated from Bangkok, Thailand and is known for their metal shipping containers and curation of local entrepreneurs. They made their way to Singapore in 2017 and this year, they finally came to Malaysia. A look at some of the products offered in Artbox Malaysia. The Malaysian edition is located at Sunway City, just a stone’s throw away from Sunway Pyramid. It saw long queues even before it opened its gates last Friday. 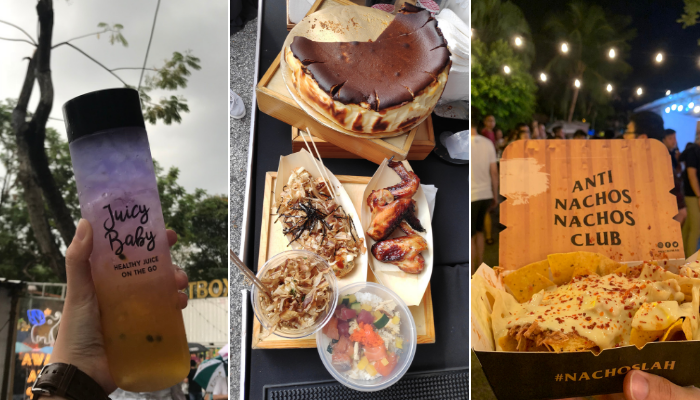 With over 500 vendors and partners across two weekends from Malaysia, Thailand and Singapore, Artbox Malaysia has 15 shipping containers that surround its perimeters, fairy lights spanning across 6 kilometers, and to cater to the locals, they invited food trucks to open up their stalls too. Right before everything started, we managed to get an interview with the brains behind Artbox Malaysia. 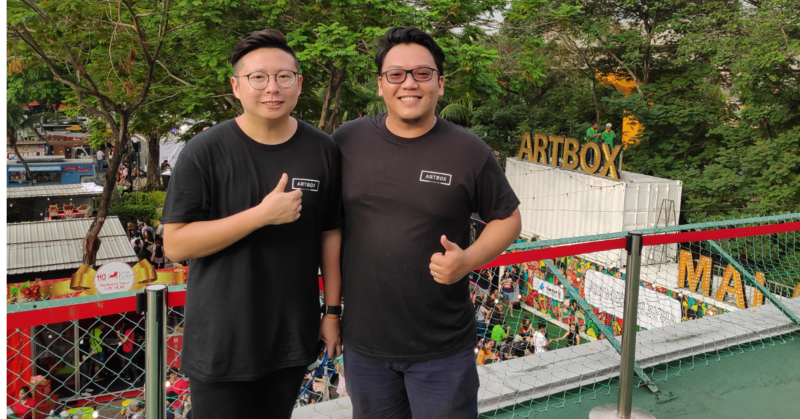 The idea to bring Artbox to Malaysia came up when Ken Chai co-founder and Business Director of Adnology Labs, visited Artbox Singapore and was impressed with it. Adnology Labs was established with the aim to creatively and strategically plan executions of events. They focus on targeting consumers via on ground activation, online and mass mediums and communicating effectively through the right channels. Thus Ken partnered up with the team who brought Artbox to Singapore—Invade Industry. The founder of Invade Industry, Kent Teo—not to be mixed up with his Malaysian partner Ken Chai—said they then started discussing the process of bringing Artbox to Malaysia, such as finding the right venue. Invade is a creative retail space activation and events management company founded in 2010. They are well known for innovative retail concepts such as organising some of Singapore’s largest flea markets and are also the ones responsible for bringing Artbox out of Thailand. He also hope to bring the Malaysian retailers to Singapore for the Artbox Singapore next year. For Ken of Adnology, he wants Artbox Malaysia to be like a launchpad for emerging brands to come together, to inspire and pay more attention to creativity, design and branding. Both partners have been kept busy with bringing Artbox over to Malaysia the past few months. They had to solve logistic and taxation issues that are unique in different countries. Kent mentions that it is very important to find stakeholders that share the same vision as they do as if they don’t, it will be very difficult to operate. “Sunway is one of the first venue hosts that sees the potential and believes in providing such a platform for retail startups to come together,” he said in an appreciative tone. 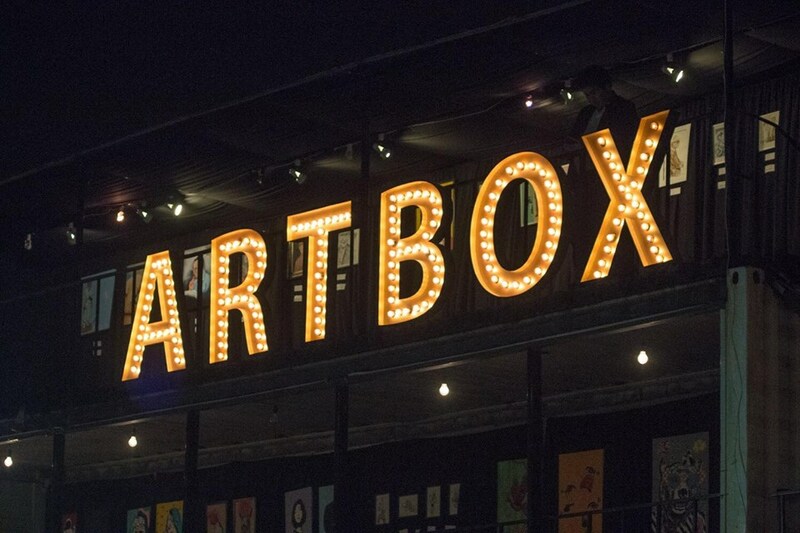 Artbox Malaysia is targeting over 100,000 visitors on a daily basis and at any point of time the 150,000 square feet venue can accommodate up to 10,000 people. 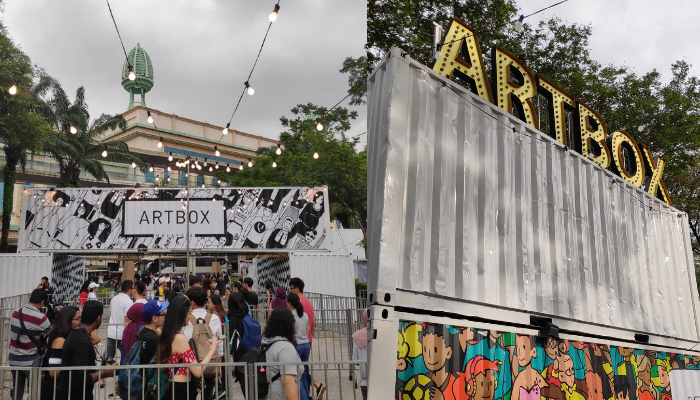 However, it is on a smaller scale compared to our neighbours across the Causeway as Artbox Singapore had a much bigger space at around 200,000 square feet, and they managed to attract 750,000 visitors for the whole event this year. The Artbox Malaysia team was very proud that even before the gates were opened officially, there was already a long line of around a thousand people at the queue. If you would like to know more about Artbox Malaysia and what they have planned for this week, you can follow their social media by clicking here. Artbox Malaysia will be on their final leg here this week from 3–11PM on 16–18 November, Friday to Sunday.